Completed this custom request today. Custom designed and hand made to support the journey of a family of five. 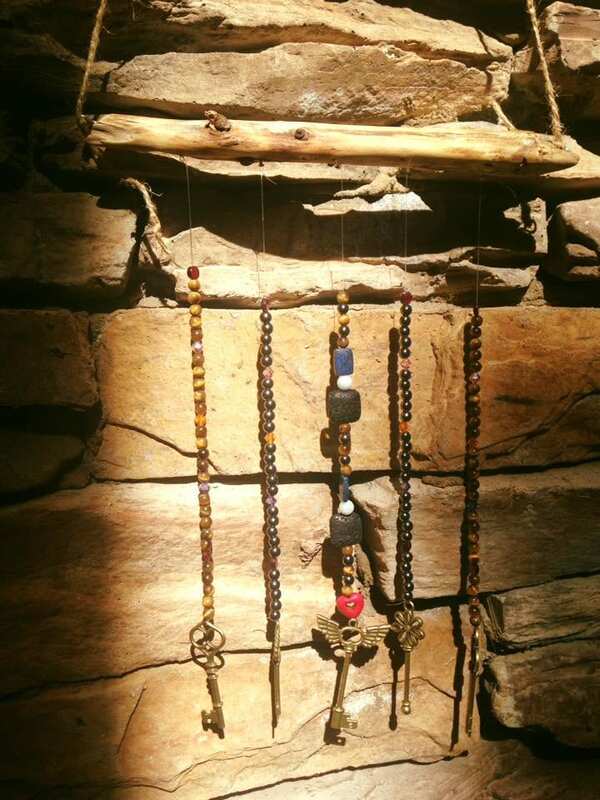 Made using a beautifully and naturally colored stick with tons of character. Two strands of tigers eye beads to support grounding, willpower, and self-confidence; with the birthstone of each family member after each 5th tigers eye bead. 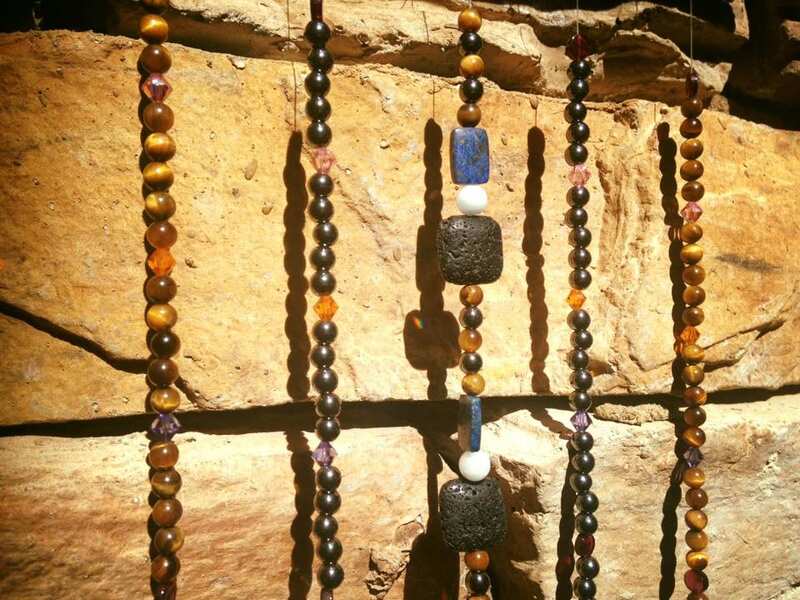 Two strands of hematite beads to support protection and staying grounded; with the birthstone of each family member after each 5th tigers eye bead. 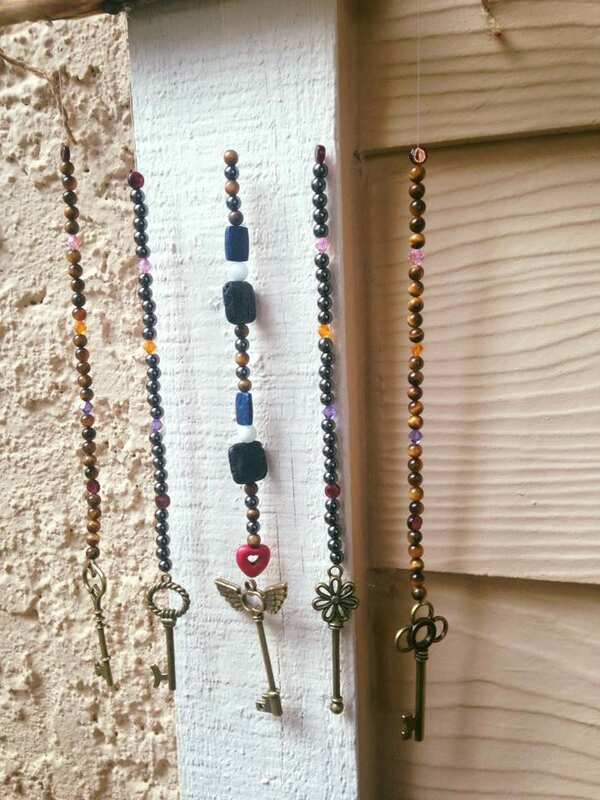 One strand in the middle to anchor with alternating tigers eye and hematite beads. Along with lapis lazuli and aquamarine beads to support communication and lava beads to support mindfulness. 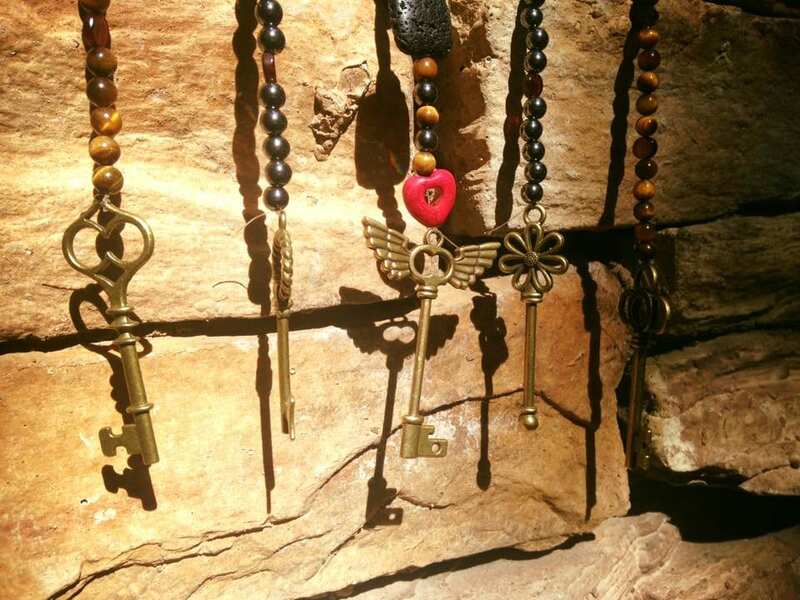 This strand is grounded with a red heart to support unconditional love and a golden skeleton key of angel wings so as to support and open the door for spiritual growth. 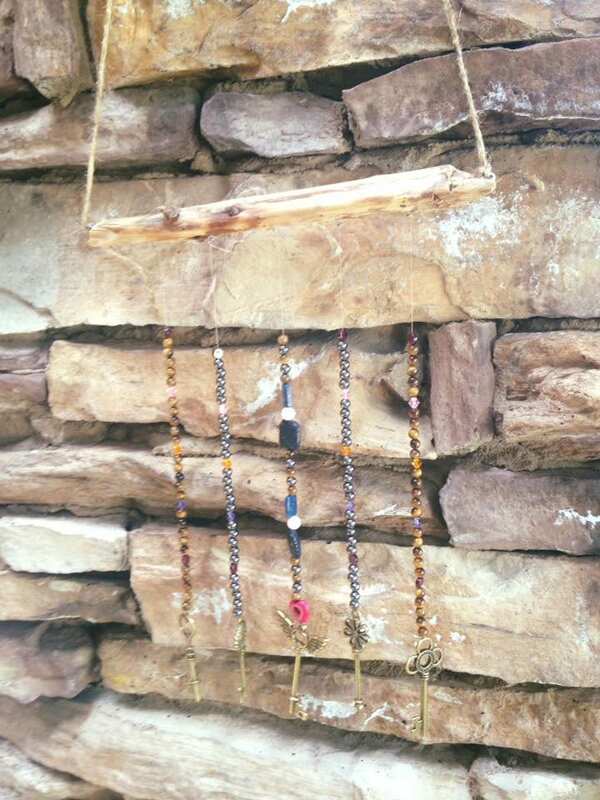 This entry was posted in News and Events and tagged custom designed wind chime, handmade wind chime, hematite beads in wind chime, reiki infused wind chime, skeleton key wind chime by Camilla. Bookmark the permalink.